Let’s enjoy summer one last time! And wouldn’t it make the celebration extra special when we spend it with friends? For the next five Sundays this whole month of August, we’ll be having a group BMAP. Gather four friends and create a super team that will dominate the BMAP game once and for all! 2. 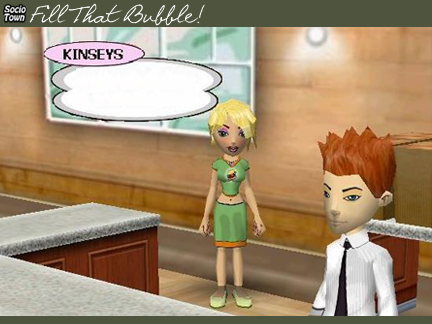 Don’t forget to include the complete SocioTown names of your members in your email for every entry. 3. Follow the instructions posted. If you bring me a picture that doesn’t follow all the details, then the entry will be disqualified. 4. Have fun with your teammates! So let’s get started: bring me a picture of your team shouting your team name in the middle of the park. You all have to say/type it, but it doesn’t have to be in all caps (it’s up to you). To capture a screenshot, you can refer to this helpful guide I found online (do note that it is not under OTBS or SocioTown; use with care). Send your entries to my email address at dawn @ sociotown (dot) com, with the subject BMAP: Super Team so I’ll know it’s for this round. Again, don’t forget to include the complete list of names of your team. UPDATE: This round expires at the end of the month, August 31. Since we didn’t have a special end-of-the-month round last week, let’s move it to this round. That means every entry I receive for this round will receive a prize! That’s right, you each get 50 SoBucks for a successful and correct entry. So gather your friends, form a BMAP super team, and earn some SoBucks together! Summer’s ending, but it doesn’t mean we can’t have one last summer fun. Nighttime Bug Catchers for BMAP! Wow, we’ve been announcing winners after winners this week! Well, we’re not stopping now. Here are the winners of last Sunday’s BMAP round (Nighttime Bug Catching). Congratulations, Suzan45, Heathercut and Koolly2. Are they scrambling to catch one bug? Every last Sunday of the month, BMAP’s regular round turns into a special one — as long as your entry followed the rules, no matter if you sent it first or not, you will be included in the list of winners. So, without further delay, here are the winners of June’s special BMAP round! 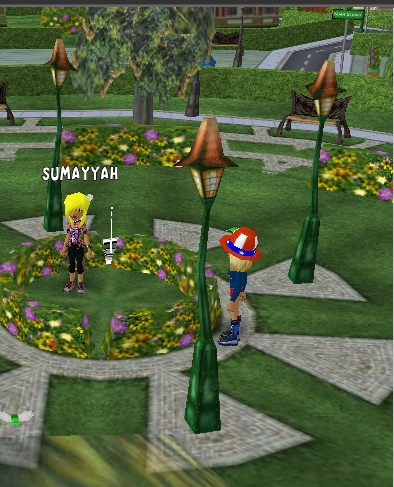 Sumayyah and the mysterious Uncle-Sam-Hat-wearing friend! Enjoy your 60 SoBucks, winners! Got a lot of time this summer? Maybe you can sneak in town at night and catch some bugs with your friends! So for this BMAP round, catch some bugs with your friends during nighttime. Max number of friends that can join you in your entry is five. Send your entries to my email address at dawn @ sociotown (dot) com, with the subject BMAP: Night Bug. Don’t forget to include the full SocioTown names of all players in the entry. The first correct entry that I get will be rewarded 50 SoBucks to each participant in the picture. If you don’t know how to snap a screenshot, you can visit this online tutorial (do note that it is not affiliated or under OTBS and SocioTown; follow the instructions carefully). Don’t let the night bugs get away! This is one long overdue post! But your prizes are on its way, Branwen and friends. Congratulations to Branwen and her playmates Suzan45 and Emmanuel. I hope you three had a blast playing Hide & Seek in someone’s apartment. You didn’t make a mess of things, right? June’s special BMAP round is still ongoing. 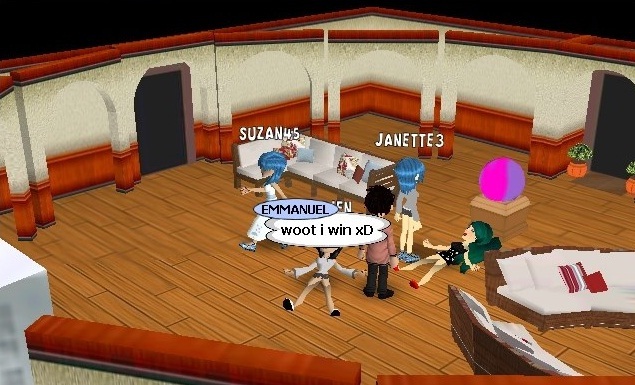 Check the other BMAP post to know how to win SoBucks and a special Fourth of July prize! Don’t worry, as long as your entry followed the rules, you are sure to win. Special BMAP Round for June! Every last Sunday of the month, BMAP will have a special round. That’s right, this one’s special, which means we’ll have more than one winner! 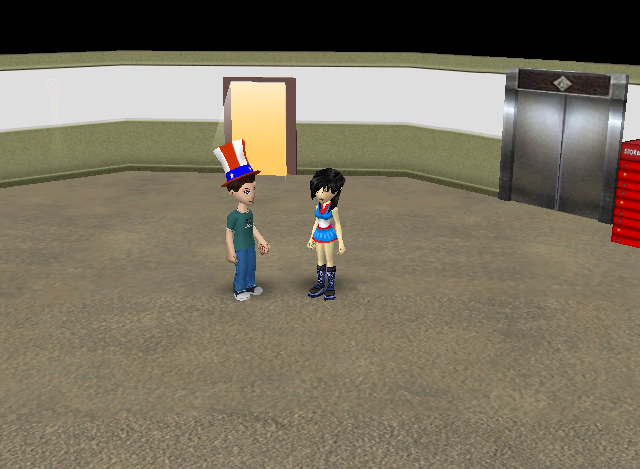 For this BMAP round, find someone wearing an Uncle Sam Hat and take a screenshot with them. If you don’t know how to take a screenshot, you can refer to this online tutorial (do take note that it is not part of OTBS or SocioTown; follow the instructions carefully). Send your entries to my email address at dawn @ sociotown (dot) com. Don’t forget to include your full SocioTown name in the email, and use the subject BMAP: Hat so I’ll know it’s for this contest/round. Winners will get 60 SoBucks each! Take note that only you will get a prize, not the player with the hat. The good side is, there will be more than one winner/winning entry; as long as your entry meets the instructions above and send it before the next BMAP round is posted, you will be included in the list of winners for this round. Tell your friends so they can win some SoBucks, too! BMAP: Play a Virtual/Field Game! Can you already feel the warmth of Summer? 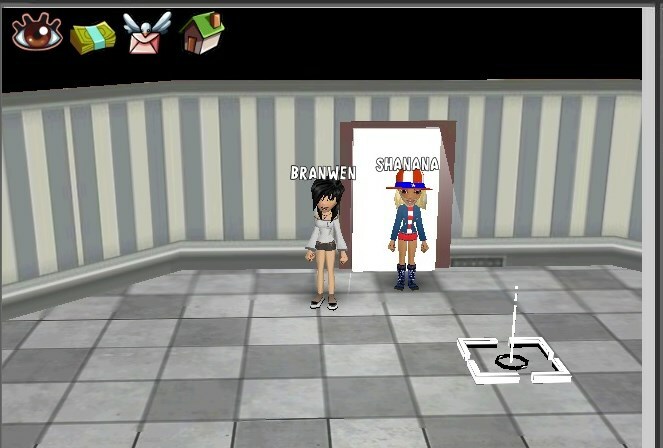 Let’s enjoy our vacation time by playing Virtual or Field Games in SocioTown! So for this round, bring me a picture of you playing any Virtual or Field Games with two of your friends. If you don’t know how to take an in-game picture, you can check this handy tutorial online (do take note that ST and OTBS are not affiliated with said site). Send your entries to my email address at dawn @ sociotown (dot) com, with the subject BMAP: Games. Don’t forget to include your full SocioTown name and all the names of your friends in the picture. First correct entry I get will receive 50 SoBucks for each participant. Not only do you get to enjoy a game with your friends, you get SoBucks, too! Branwen was quick to rise to the challenge and greeted everyone’s awesome dads. Well done, Branwen! You’ll get your prize soon. It’s Father’s Day! Shout out to all your great fathers out there! If you don’t know how to take a screenshot, you can visit this tutorial online (please take note that OTBS and ST are not affiliated with the site; please use with caution). Send your images to my email address at dawn @ sociotown (dot) com, with the subject BMAP: Father’s Day, so I’ll know it’s for this contest/round. Don’t forget to include your full SocioTown name. First correct entry I get will receive 50 SoBucks!